Our recruitment process is divided into phases where we carefully assess and screen our candidates to ensure that only the most qualified and competent are hired to take care of your patients. 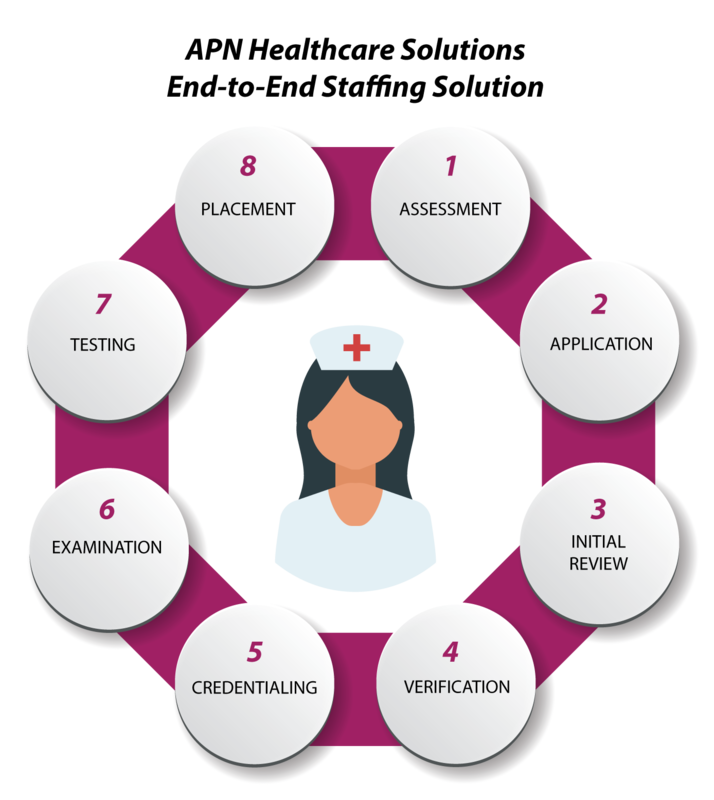 This process was sensibly thought of with both our clients and candidates in mind and that the end result is geared towards providing quality patient care regardless of the healthcare setting. We know that your main goal is to provide quality patient care and we are here as your staffing partner to help you supplement your daily staffing needs in a cost-effective and efficient manner. APN Healthcare follows full compliance with the standards set forth by the State Dept. of Health, American Nurses Association (ANA), HIPAA, OSHA and JCAHO as well as that same rigid standards practiced by hospitals and healthcare facilities.